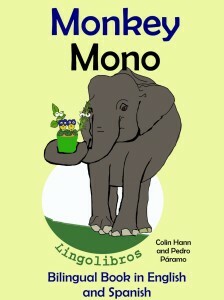 The chatty little plants think they understand things, but when it comes to animals they know nothing. One wild assumption leads to another and gets them into big trouble. 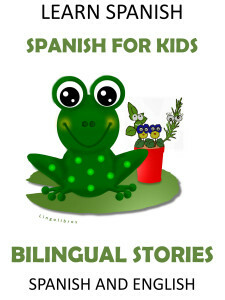 These illustrated stories are designed for bilingual children and others wishing to read a dual language text in Spanish and English. For ease of understanding, the languages are displayed together mostly one or two sentences at a time and use everyday language of native speakers. 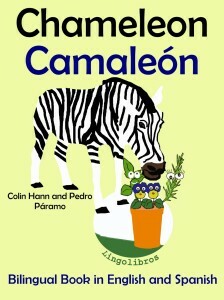 Reading this fun bilingual book will help you learn Spanish. Go to this book. Mono Travieso ayuda al Sr. Fontanero. 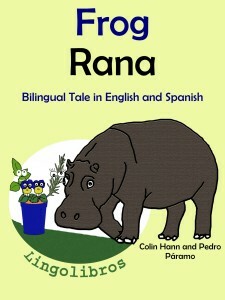 The second book of the series Study Spanish with Naughty Monkey is ready. Naughty Monkey is back with new adventures! 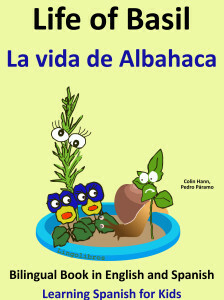 This dual language book is recommended for bilingual children and Spanish language students with a basic or intermediate knowledge, who want to read a dual language text in English and Spanish. 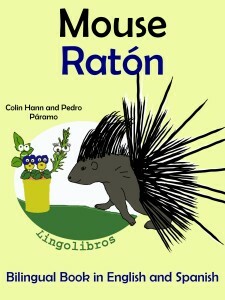 Authors: Colin Hann and Pedro Páramo. 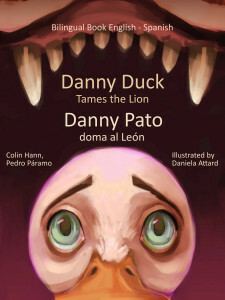 Illustrations by Daniela Attard (See it now). This day our chatty plants find themselves on the grassy bank of a village pond. It is a fine day. They chat about a large and strange animal that casts a huge dark shadow as it lumbers past. The plants decide to call the animal ‘Frog’ and we shall see why, but are they right? Let’s see how they put their idea to the test and what trouble that causes them! What would it be like to be stuck in a flowerpot? No school, no books and no television! How would you recognize a giraffe? Basil, Rosemary and the Pansy sisters think they know all about animals, but when it comes to giraffes they know nothing and that gets them into big, big trouble. Basil finds himself in a strange new pot and meets more chatty little plants. Basil has lots to learn. Why is he so thirsty? What is that animal? Basil’s new friends do their best to tell him. Are they right? Perhaps they should go to school. They think they know some stuff, but when it comes to animals, they know nothing. Look at the world through the eye of a plant and see what happens to them. 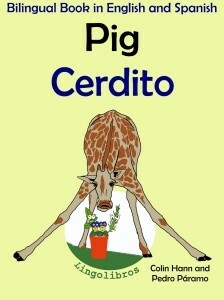 This is an easy book to read in Spanish. 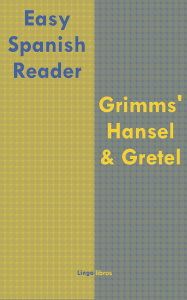 The well known story of Hansel and Gretel is retold in full using modern language. We got rid of the difficult words. Left are good words to know, words that you will often see and hear.